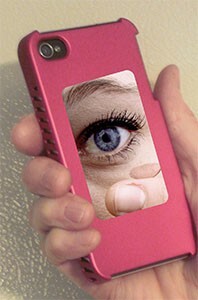 "Sneak a peek" of your face, teeth, or makeup whenever, wherever you want. It could be in a restaurant, at a meeting, on a date, etc. No one will ever know!